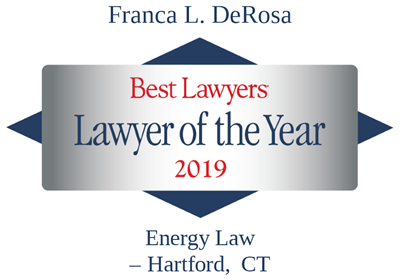 Franca DeRosa’s practice encompasses all aspects of energy and environmental law, including counseling and assistance relating to compliance with federal, state and local laws and regulations. She has counseled corporations, manufacturers, developers, and utility companies on a variety of environmental and regulatory matters. Franca has been involved in the acquisition, restructure and development of various electric generating facilities. She has counseled corporate and institutional clients on the environmental implications of financing, corporate and real estate transactions. Franca has represented numerous clients who have remediated and redeveloped industrial and commercial sites into productive and marketable properties. She has also represented contractors and construction companies in evaluating and effectively addressing environmental issues for residential, commercial and industrial developments. In addition, Franca has extensive experience with the State and Federal Regulatory Agencies. 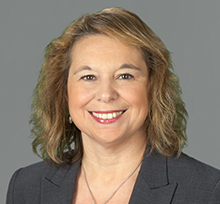 Franca is a member of the Firm’s Management Committee, Hiring Committee (Co-Chair), Diversity Committee (Co-Chair), and Women’s Initiative Committee. Represent PSEG in connection with its New Haven Harbor and Bridgeport Harbor electric generating stations on regulatory, permitting and compliance matters. Previously represented Wisvest, a subsidiary of Wisconsin Electric, on its acquisition of these generation assets, which were divested by The United Illuminating Company, and post-acquisition representation of Wisvest relating to ongoing operations at both facilities. Subsequently represented Wisvest on the sale of these generation assets to PSEG. Represent Competitive Power Ventures in connection with various electric generation facilities in Connecticut on development, operational, and compliance matters. Instrumental in obtaining regulatory approvals and permit transfers to facilitate the purchase and sale of the facilities. Represent Platinum Equity, LLC on various environmental matters related to companies and facilities it acquires nationally. Represent International Paper on environmental, remediation, and contractual matters related to two of its former facilities in Connecticut. Represent The Davis Companies and Marcus Partners on environmental matters related to the redevelopments of numerous commercial properties in Fairfield County, Connecticut. Listed in the 2005 - 2018 editions of Chambers USA: America’s Leading Lawyers for Business as a leading environmental lawyer in Connecticut and was described as "tenacious and dedicated to her clients." Clients say that "working with her is a pleasure. Her advice is delivered with clear rationale and her thoroughness is unsurpassed."